Diana and Bruno Costes bought this elegant Napoleon III château, dating from the 18th century, in October 2002. Since then it has been extensively renovated to provide 5 luxuriously-appointed en-suite bedrooms for up to 12 people in the East wing of the chateau, a charming, well-appointed holiday cottage for 8 people in the old Hunting Lodge and a studio for two people over the old stables. Each bedroom has its own personal character and has been decorated with family or locally-sourced furniture and objets d'art. They have been welcoming guests in their home since 2003 and their efforts have been rewarded with recognition by Gites de France (4 wheatsheaves), as well as the prestigious guides, Sawday's Special Places to stay, Guide Rivages and the Green Michelin. Guests tuck into copious breakfasts with home baked bread and pastries, eggs, bacon, yoghurts and home-made jams. Guests staying in the chateau can rest in the two wood-panelled reception rooms with their working chimneys and use the baby grand piano and the library with its books, games and television/DVD and Wi-Fi access. Visitors can walk or bike ride in the chateau's grounds or on the paths that join the chateau to the surrounding open countryside, home to abundant wild-life. They can also relax in their recently installed infra-red sauna cabin with aromatherapy and light therapy options. 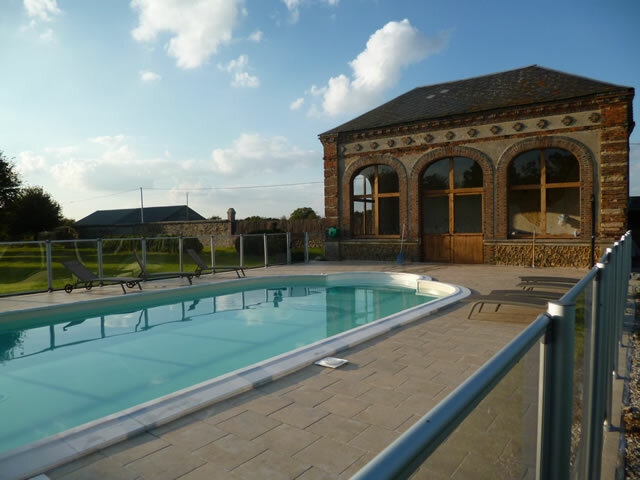 In the warmer months guests can enjoy the newly-built heated swimming pool. 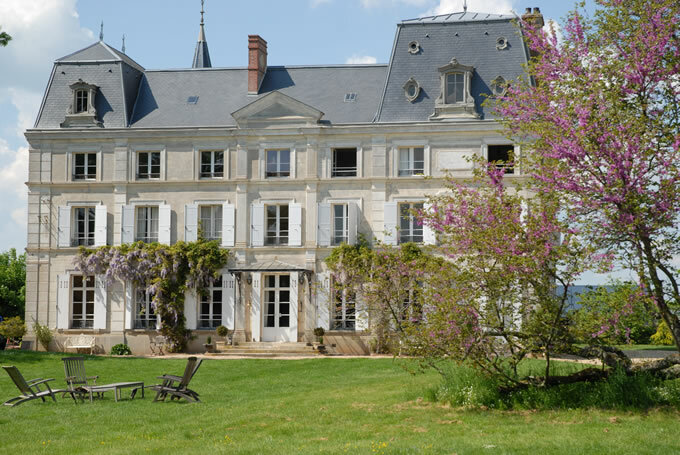 The Chateau's access to Paris (115 kms), the Channel ports (between 2 and 3 1/2 hours) and other parts of the country, makes the Chateau an ideal base. Whether you're coming here to get away from it all, to visit local tourist attractions, to celebrate or holiday or work in groups with friends, family or colleagues, or simply to take advantage of the chateau's ideal location as a stop-over on your way to Paris or the South, Diana and Bruno will do their best to make your visit a memorable and enjoyable experience.